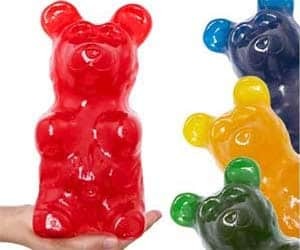 These giant gummy bears are an epic achievement in mankind’s history. They weighs over 4.5 Lbs each and are sure to satisfy anyone's sugar craving! The perfect birthday gift!